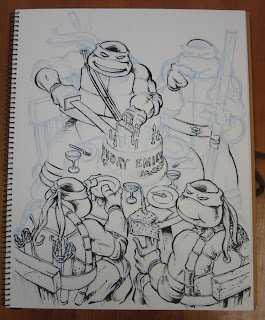 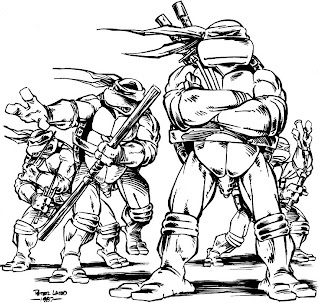 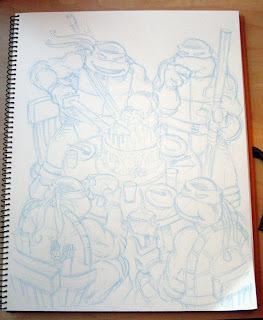 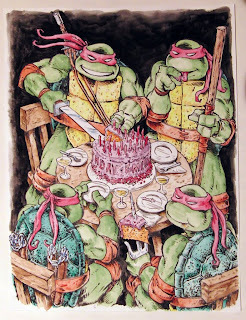 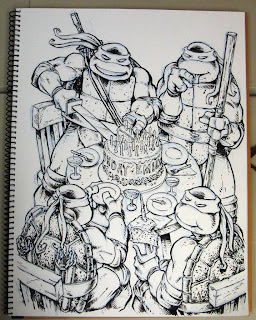 My daughter turns twenty-one shortly, and when asked what she wanted for this significant birthday, she responded with a request for two things, one of which was an original drawing of the Turtles celebrating her birthday. 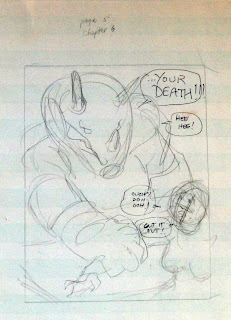 As I recall, this one was a lot of fun to draw. 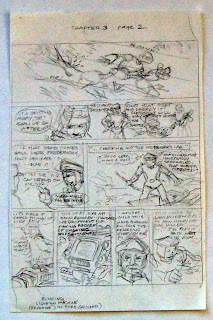 I did this in 1986 for the cover to an issue of "Amazing Heroes", a now-defunct magazine about comics from Fantagraphics. 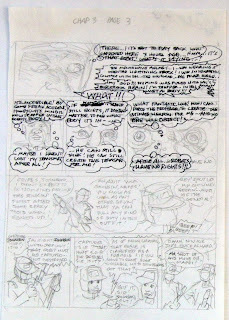 I believe there was an interview with me and Kevin in that issue. 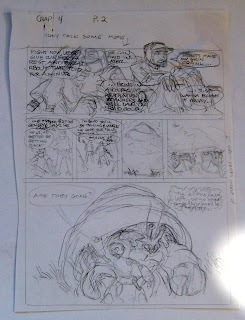 I stumbled over these when I was looking in my files for some art to hang on the walls in our house. 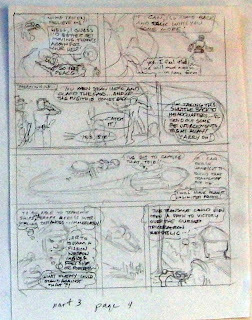 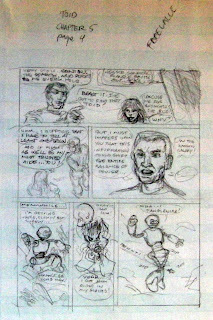 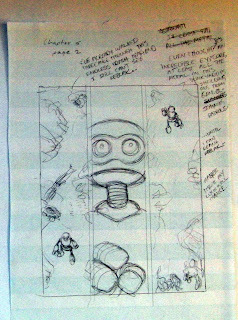 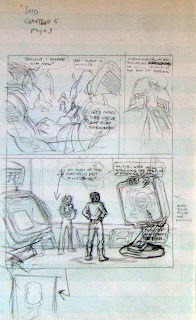 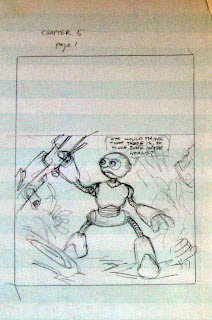 They are my rough pencil layouts for several chapters of the original "Fugitoid" comic book. 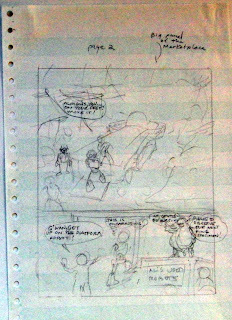 I was a little surprised to see these, as I had forgotten that I had done layouts for that project. 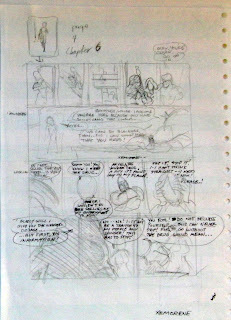 The group of layouts that I found does not represent the entire book, so it's possible that Kevin did some or all of the first and/or second chapters... but it's also possible that I did all the layouts. 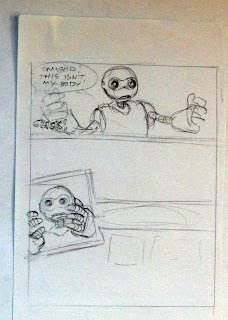 At this point in time, I can't recall. 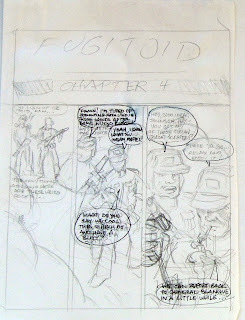 Back when I did these, Kevin and I were still planning to release "Fugitoid" in individual five-page chapters. 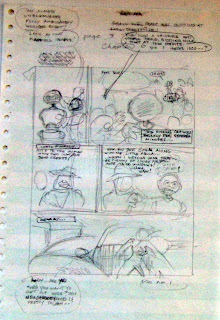 The idea was to print these on one sheet of 17 by 22 inch paper, so that when folded you would have four pages at 8.5 by 11 inches, then the last one would be a huge "poster size" page visible when you unfolded the sheet (we got this format idea from some "poster magazines" which were popular at the time). 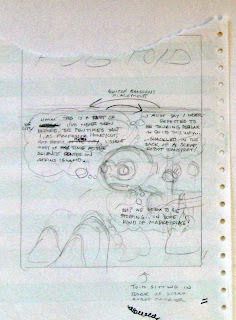 Of course, we never published it in that form. 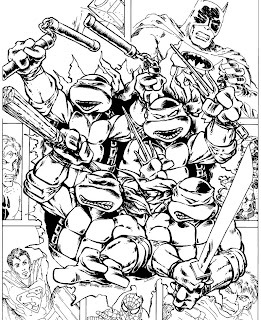 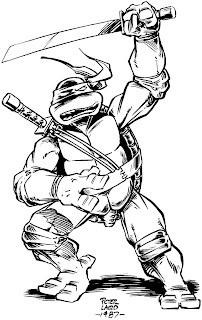 A couple of years later, when we decided to blend the story of the 'Toid into the TMNT universe, we added a few more pages to the tale and published it as a regular (though somewhat oddly-sized) comic book which led into issue five of the TMNT comic. 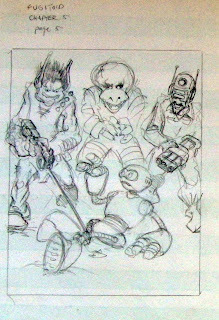 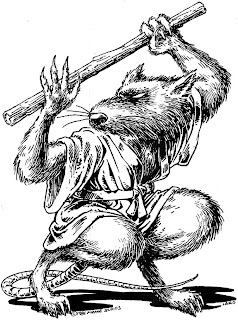 I don't know if this drawing was ever published -- looking at it, I have the sense that I've seen it used somewhere, but I'm not sure.